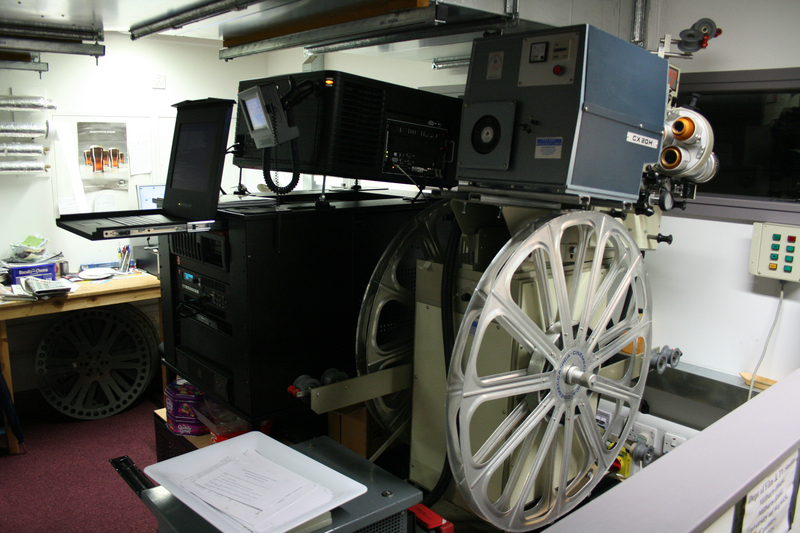 An image of a digital projector (left) standing alongside a 35mm projector (right) in the Department of Film and Television Studies at the University of Warwick. 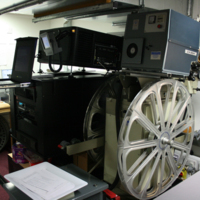 Richard Wallace, “Image: Digital Projector,” Projection Project, accessed April 24, 2019, https://projectionproject.warwick.ac.uk/items/show/512. Copyright © 2019 Projection Project , University of Warwick, All Rights Reserved. | Terms | Cookies | Powered by Omeka.